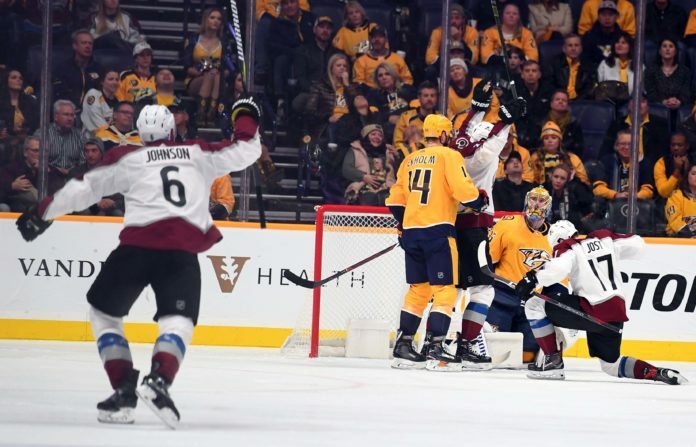 The Colorado Avalanche went into Nashville on Tuesday, and for the first time since 2016, beat the Predators on their home ice in the regular season. 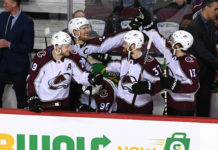 Nathan MacKinnon powered the team with two goals and the Avs held on for a 3-2 win over the rival Preds. 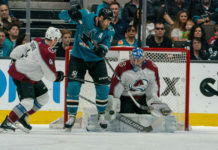 Tyson Barrie ended up missing the game with a minor injury, which opened the door for Nikita Zadorov to step up in his absence, and that’s exactly what he did. Playing over 20 minutes with Ian Cole, Zadorov played smartly in all three zones and the Avs controlled 58% of the shot attempts with him on the ice. He’s been much improved after his benching. Speaking of Cole, what more can you say about this addition? He has been everything the Avs thought Patrik Nemeth was last year, and more. He’s settled in to make smart decisions with the puck, and knows exactly what he can get away with in the defensive zone in terms of chippiness. He’s been a great addition. Nathan MacKinnon has 17 goals this year, and Mikko Rantanen has an assist on each and every one of them. That’s insane. You never want to say that a concussion is a good thing for a player, because it absolutely is not, but the time away from the ice for Tyson Jost might have been a good reset for him after a tough start offensively. He has seven points in nine games since returning. Samuel Girard has struggled a little bit defensively of late, but without Barrie, he stepped up offensively, picking up two assists, including a nice breakout pass on the second MacKinnon goal. He is quietly on pace for almost 40 points in his second NHL season. The Avs are right back at it Wednesday night when they take on the Pittsburgh Penguins at home.